OSWEGO, NY (April 26, 2018) – For the second year in a row, the Oswego branch of Cam’s New York Pizzeria has come onboard to sponsor the Lighthouse Lanes SBS Series ahead of the series’ season opening event at Evans Mills Speedway on Saturday, May 12. 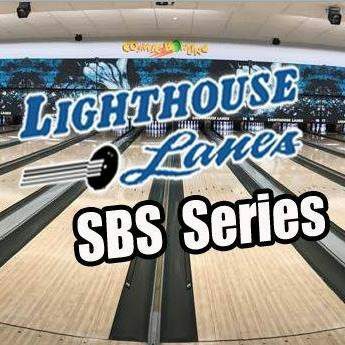 Beginning with next month’s ‘May Meltdown’ 30 at Evans Mills, Cam’s New York Pizzeria will provide all heat race winners in the Lighthouse Lanes SBS Series with coupons for a free large cheese pizza at area Cam’s locations. An Oswego Speedway concession vendor in 2018, Cam’s New York Pizzeria is famous for its delicious cheese pizza and New York style crust. Cam’s has nearby locations in Oswego, Camillus, Syracuse, Geneva, Rochester, Baldwinsville, Ontario, Pennfield, Penn Yann, Phoenix, and Watertown N.Y. The Oswego location, adjacent to Oswego Cinema 7 on 31 West Bridge Street, can be contacted by phoning (315)-342-4255. More information and a full menu can be found online at CamsPizzeria.com. The Lighthouse Lanes SBS Series opens its 2018 schedule of events at the Evans Mills Speedway next month for the 30-lap ‘May Meltdown’ Spring Championship. 15 entries are already confirmed for the show and continued updates can be found daily on social media. To follow along, you can FOLLOW @LHLSBSupers on Twitter or LIKE on Facebook at Facebook.com/LighthouseLanesSBS. The series also has a new website, LighthouseLanesSBSSeries.com. About the Lighthouse Lanes SBS Series: The Lighthouse Lanes SBS Series is a northeast Small Block Supermodified touring club showcasing the stars and cars of Oswego Speedway’s Pathfinder Bank SBS division. Formed in the spring of 2017 by drivers Mike Bruce and Camden Proud in conjunction with Bob Hoefer at Lighthouse Lanes in Oswego, N.Y., the series is set to be a three race venture in 2018 and is made possible by the support of Lighthouse Lanes, Cam’s NY Pizzeria, Route 37 Building Supply as well as the dedicated team owners, drivers, and fans of Small Block Supermodified racing.